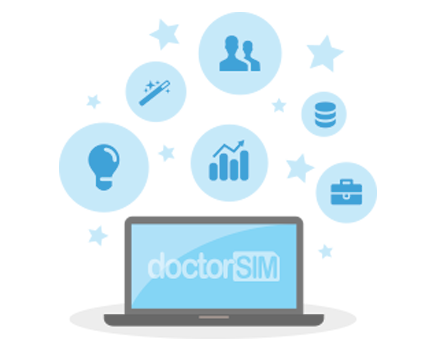 doctorSIM Pro * - A turnkey solution for distribution chains, points of sale and call centres (web and mobile). doctorSIM API - API integration for distribution chains, requires integration on the customer side. doctorSIM Iframe * - A plug and play application for MVNOs, network operators and other telecommunications providers (web and mobile). doctorSIM Bulk Unlocking * - For large corporations, business groups and other companies wanting to unlock more than 500 phones at once. doctorSIM Web * - For individuals looking for a 100% online solution (web and mobile). * These solutions do not require development by the customer. Individual - doctorSIM analyses your phone consumption, compares it to all current phone rates on the market and then provides you with the steps you should take to reduce your monthly spending. We will tell you how much you can save by staying with your network provider or by switching to another one. doctorSIM SMEs - doctorSIM Plus is designed to help small and medium-sized enterprises save year round and stop gifting money to their network provider. Up to an average of 50% can be saved annually. doctorSIM Multinationals - Discover how to save between 25-30% through auditing, self-control, optimisation and negotiation services designed for companies with more than 200 phone lines.